Nine marathons. Nine half marathons. Eight Boilermakers. You might say I’m an experienced runner, but I would say I don’t feel like it most of the time. You might say I’ve seen a lot, but I would say that I haven’t seen enough. 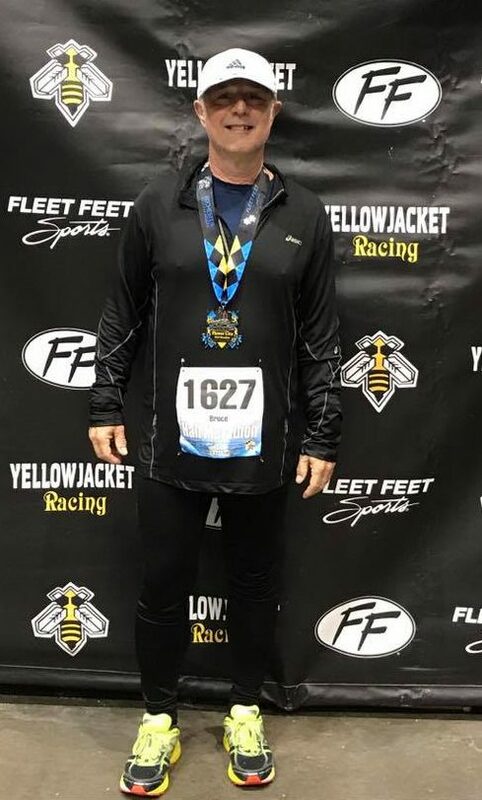 You might say I’ve learned a few lessons, but after the 2017 Flower City Half Marathon — my tenth half — I would say there are times when I don’t feel like I’ve learned a damn thing. I knew enough to know that it wasn’t gastric distress. Been there. Done that. No, this was different. This was a feeling I have never experienced before. It wasn’t a cramp or a stomachache in any conventional sense. It was more like a tightness that was so uncomfortable it left me feeling sluggish and short of breath. In my heart, I knew the decision not to run a spring marathon had already been made. It was a tough pill to swallow. I hadn’t even made it to mile four, and I was already into survival mode. But I was going to finish, no matter what. I ran with Andrea a little further down Goodman before parting ways at the aid station at mile six. Hoping that the brief stop would help ease my stomach pain, I took advantage of the portapotty, then hydrated and began the climb up the hill into Highland Park. I had lost valuable time, but the gamble paid off. I felt strong on the elevations as the course wound it way through Mt. Hope cemetery. Around mile eight, at the same spot she met me two years earlier, Tessa met me for a hug and a kiss that lifted my spirits even more, and shortly after I caught up with Andrea and ran with her briefly past the tombs and headstones. But I was getting stronger now, and she was starting to fade, so we parted ways for the last time and I set out for the river trail and the last three miles. There was just one more unexpected obstacle to overcome. A little history was about to repeat itself and add some extra difficulty to the race’s end. Around mile eleven, the heavens opened, just as they had done two years ago, soaking us all in a freezing rain that started to bring our core temperatures down rapidly. 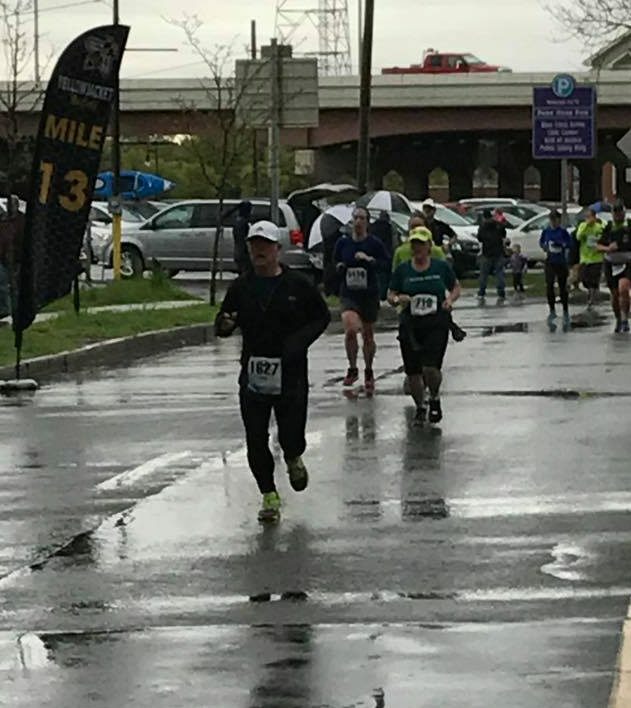 As if that wasn’t reason enough to pick up the pace, a couple of thunderclaps increased my sense of urgency, and I finished the race with a strong 8:44 last mile. In the end, it wasn’t enough. At 2:03:32, I was well over my goal time, and knew I had to honor my promise to myself. There would be no spring marathon this year. My head knew it was the right thing to do, and my heart reluctantly agreed. I had put my body through enough for now. But New York lies ahead. If I run no more races this year — heck, in this lifetime — that will be more than enough compensation. 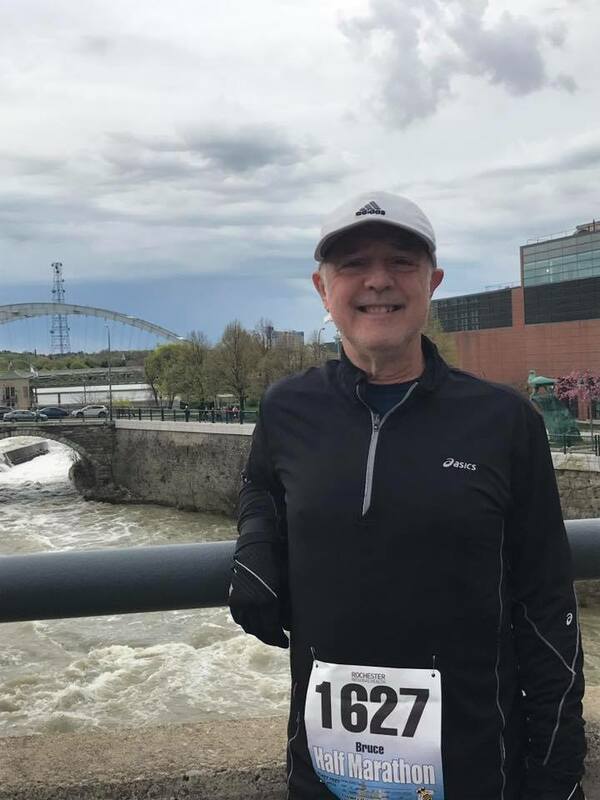 This entry was posted in The Flat-Footed Fox and tagged fitness, Flower City Half Marathon (Rochester), long-distance running, stress, TCS New York City Marathon. Bookmark the permalink. Your support — heck, just your presence alone — really has made this journey so much easier and more memorable than anyone could wish for. Thank you, from the bottom of my heart!